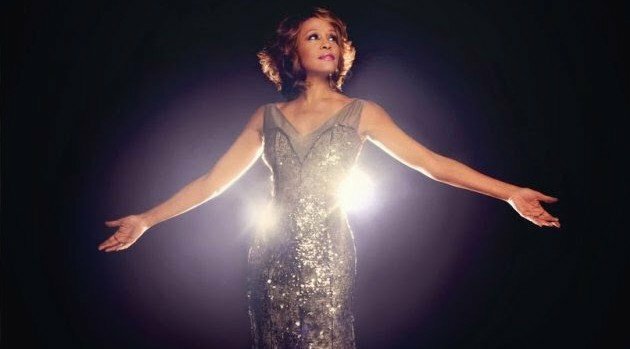 Image courtesy Legacy RecordingsLast month, Lifetime announced plans to release an original movie about Whitney Houston‘s life, which will be directed by Angela Bassett. Although the late singer’s family has expressed their disappointment over the upcoming biopic, Bassett intends to honor Houston’s legacy in what will mark her directorial debut film. “I had been looking for, hoping for, if I were to direct, a story that I felt deeply passionate about. One that I could stay up all night just thinking about, caring for and nurturing. I’ve had opportunities in the past, but nothing that just grabbed me like this did,” she said during an interview with Entertainment Weekly. “I could only hope that the script would support my desire, and it did. It had to be grateful, respectful, honest, and all those things, because we know in her lifetime there was a great deal of pressure and scrutiny,” she says. Although she starred alongside the late singer in the 1995 film Waiting to Exhale, Bassett reveals that they weren’t close friends, but she admired Houston’s ability to shine in a room. “She was joyful, she laughed a lot, she played, she was easy to be around. You know, she was a delight,” Bassett recalls. However, don’t expect the movie to recount the final moments of Houston’s death. “We’re not interested in dragging her life again through, you know, the muck. She had to play out her choices, and the consequences of them, in a very hot, glaring spotlight, but we’re not interested in dragging that through again,” she says. The film, tentatively titled Whitney Houston, is scheduled for a 2015 premiere.